The Coalition to Protect Maryland Burial Sites is pleased to announce our 28th Statewide Conference and Annual Meeting in Prince George’s County, on Saturday, May 4, 2019. The day—from 9 a.m. until 3:00 p.m.— is planned to be educational, fun, and full of collegiality! 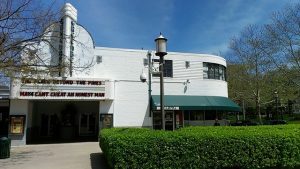 The event will be held at the Old Greenbelt Theatre, 129 Centerway, Greenbelt, Maryland. Morning sessions feature Maryland experts eager to share their knowledge and experiences, and to engage with the audience. 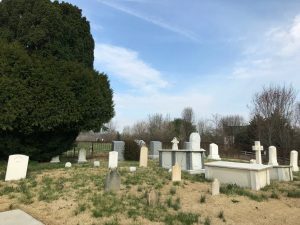 Architectural historian Anne Brockett will talk about African American Burial Societies in Maryland, and historian Susan Pearl will introduce us to the variety of burial sites in Prince George’s County. More information on these topics and speakers may be found here. Cost for the day is $50 for Coalition members, $55 for non-members. Please register by April 30. Pass this information along to colleagues, friends, and other Marylanders! You have the option to register online below or you can print out the Registration Form and mail it in with your check. If you are not a member yet, you can apply for membership directly on our website to receive a registration discount!